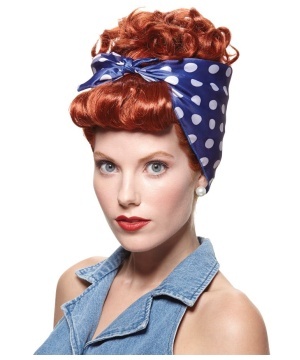 Celebrate the 1950's in style! 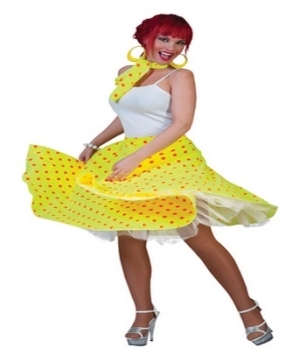 The Women's 50's Costumes feature celebrities such as Elvis Presley and Marilyn Monroe. 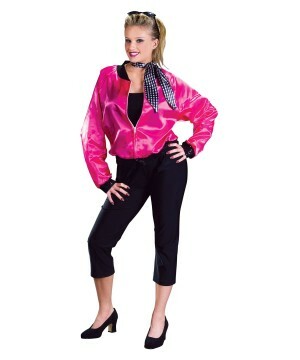 Other great Women's Costumes from this decade are the Poodle Skirt Costumes and fun outfits from the musical Grease! 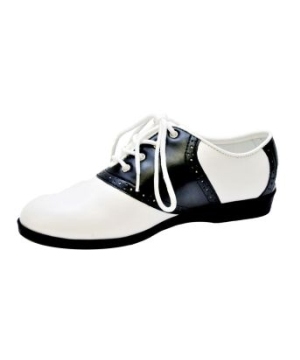 The Fifties was a very interesting decade, one that is definitely worth celebrating! For those women who are Elvis Presley fans or those ladies who love the musical Grease, here you will be able to find a complete and stylish collection of incredible Women's 50's Costumes! Fashionable women's clothing styles blossomed during the 50's and today you can still be part of that fashion trend just like if you had traveled back in time to those inspiring years. 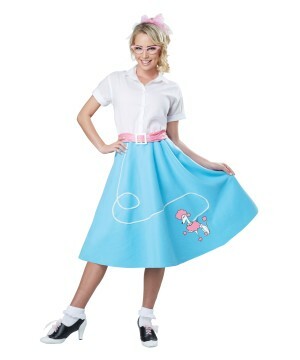 For example, one of the clothing pieces that is very representative of this decade is the Poodle Skirt. 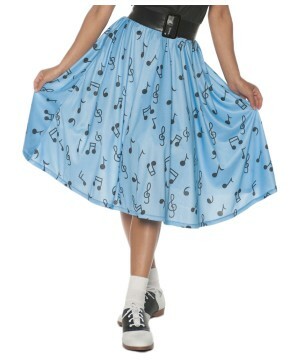 These skirts were typically used at the sock hops which were informal dances that took place in the cafeterias or gyms of American high schools. Poodle Skirts were the long and wide skirts with a stitched French poodle patch. 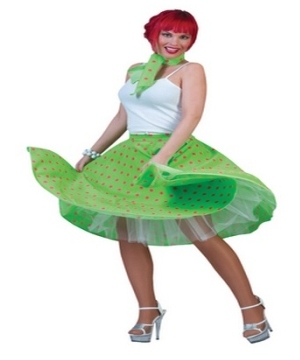 These types of skirts are still remembered as an emblematic symbol of the 50's. Celebrate the wonderful decade of 1950's and pay tribute to iconic stars such as Elvis Presley in one of our Elvis Presley Women's Costume! 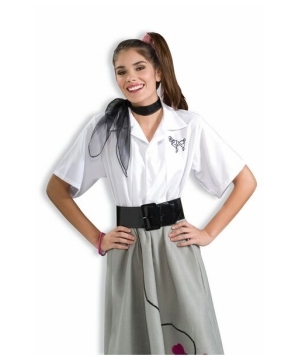 Become a greaser in the Women's Grease Bad Sandy Costume that features a black off the shoulder top, a pair of fitted pants and a matching belt. 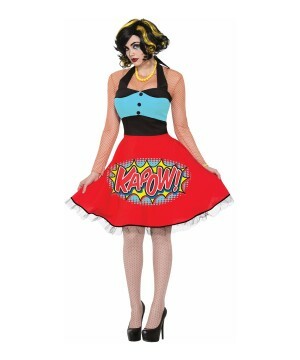 Check out the Poodle Skirt Women's Costume! This 50's outfit includes a black top, a beautiful pink Poodle Skirt and a matching mesh scarf. Last but not least, the gorgeous Marilyn Monroe who was a famous American actress and model also makes part of this wonderful decade. 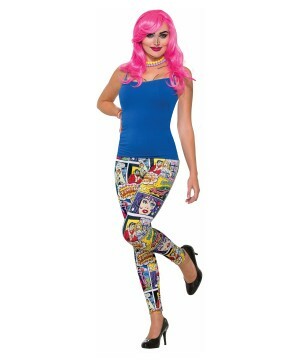 Dress up as this celebrity in the Marilyn Monroe Women's Costume Deluxe and look like a real Hollywood cutie!